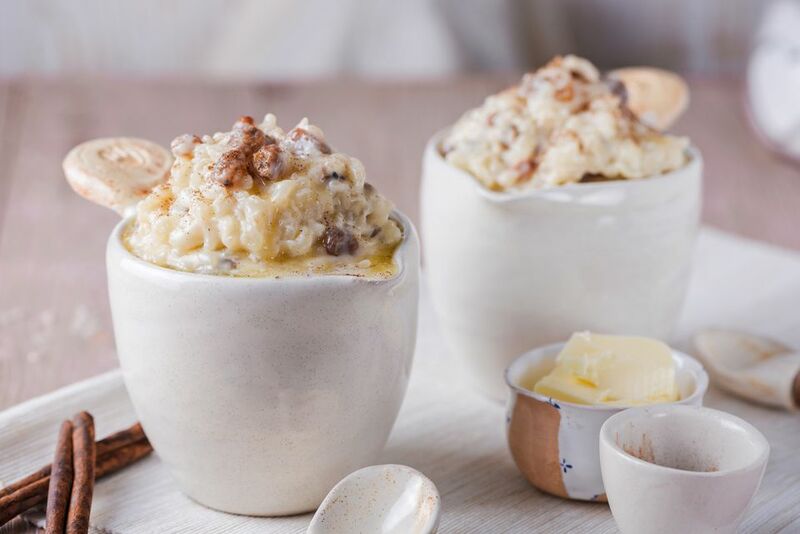 A thick and creamy rice pudding dessert with the added texture and flavor of raisins and cinnamon. Bring whole milk and water to a slow simmer in a large pot, over medium-low heat. Stir in rice and add the cinnamon sticks and barely simmer, uncovered, until rice is softened, which should be about 20 to 30 minutes. Stir occasionally. When rice is soft, remove cinnamon sticks. Stir in the condensed milk, vanilla, salt, and raisins. Return to a slight simmer and cook for an additional 10 to 15 minutes or until most of the liquid is absorbed and rice has a pudding-like consistency. Serve hot, topped with a sprinkle of cinnamon or butter.